arrive at 6.30pm, talks begin at 7pm. 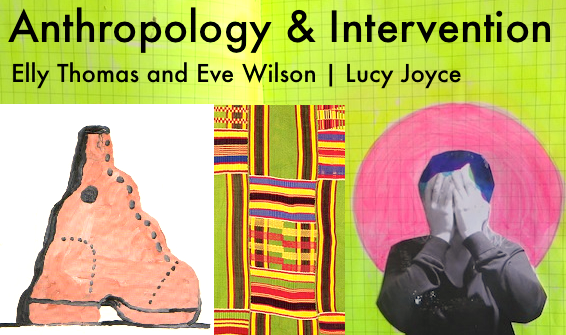 ﻿﻿7pm - Elly Thomas﻿ (﻿artist) and Eve Wilson (anthropologist). Through Kente cloth and Philip Guston's shoes the talk will take a wander through semiotic drift, shifting meanings and sliding functions.